The blue green roof combines blue and green roof technologies. Conventional green roofs conventional use a drainage layer to provide lateral drainage and irrigation. Blue roof technology, however, aims to increase both the volume of water stored and control the amount of water released. 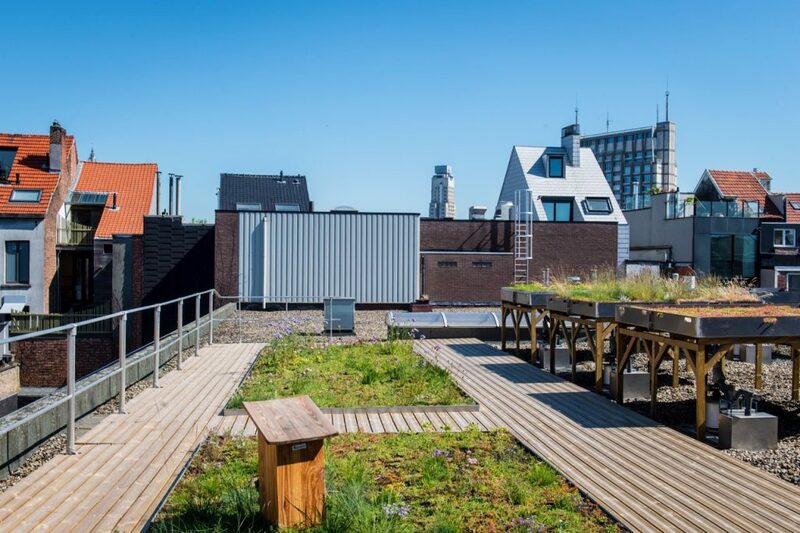 Combining the technologies can increase the overall benefits of greening roof scapes. Therefore, it is not a case of green or blue infrastructure but a blending of the both. Blue roofs can include open water surfaces or placed beneath paving or shingle. However, they can also make up the drainage and support layer for green roofs, on both intensive and extensive. 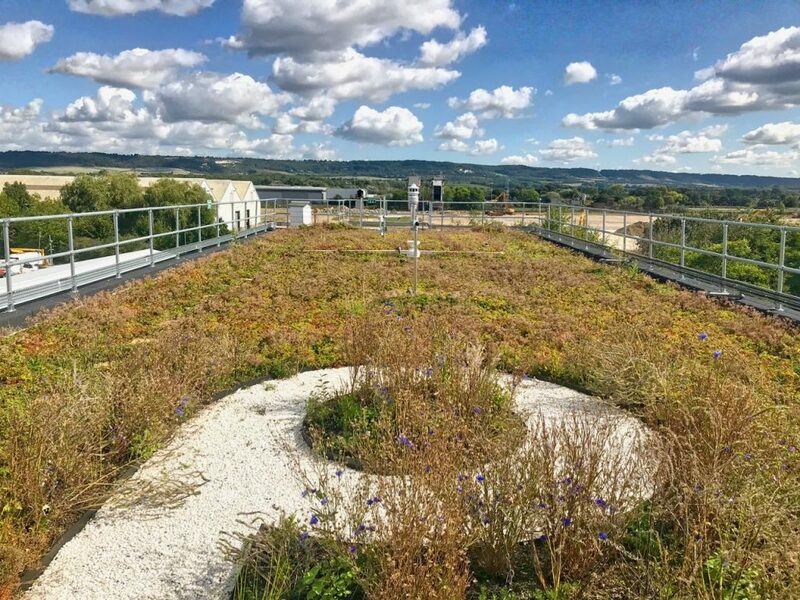 Whilst the water management engineer will be focused on how much water is stored and released, a blue green roof provides wider benefits. Of course a blue roof on its own, is positive, yet it provides only one solution. A blue green roof a wider range of benefits. Accessible roofs that are planted provide amenity. Extensive ones that are encourage wildlife, bring nature back into our cities. And they all help cool cities. Furthermore, smart technology can manage how water is stored and released. An excellent example of this is Urbanroofscapes and the smart roof project. 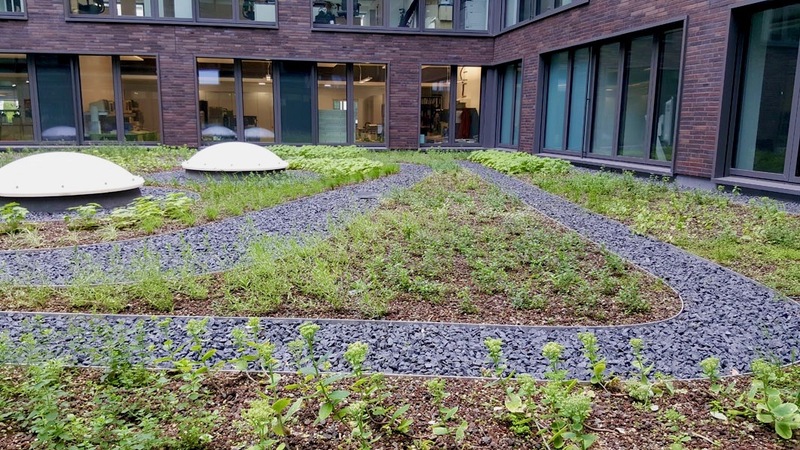 A series of smart blue green roofs have been built that provide benefits to both stormwater and urban cooling. Whilst the above examples are all on extensive green roofs, it is possible to combine blue roofs with rooftop gardens. In fact, as weight is less of an issue, there is potential to store more water. Podium decks and other intensive green roofs with a blue roof element, can also support the vegetation above. 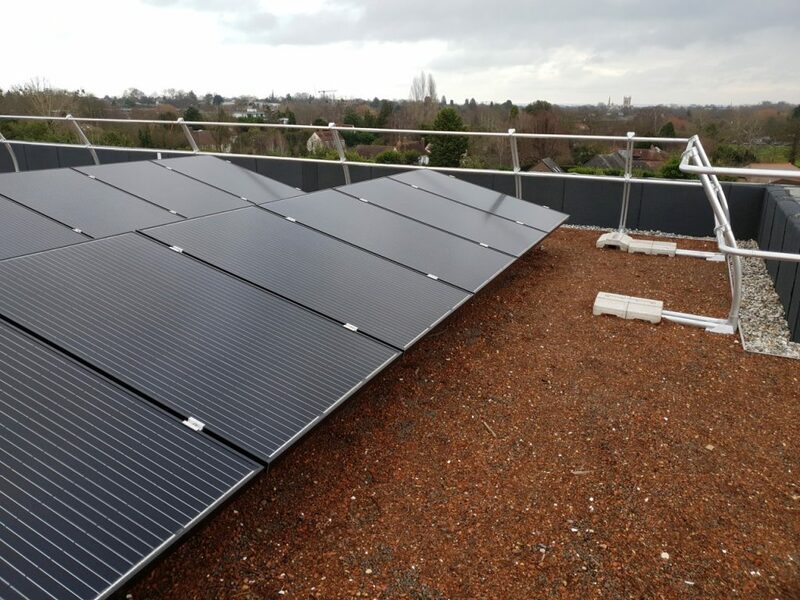 The smartest green roof is one where the green roof element above a blue roof is a biosolar roof – a green roof that houses solar panels. In truth this should be the future – as this approach provides the greatest range of benefits. Especially if it is designed specifically for biodiversity.